Abigail Stevens is an astronomy PhD candidate at the Anton Pannekoek Institute, University of Amsterdam. Her research is on spectral-timing analysis of X-ray binaries. This is the third post in a three-part series on Twitter at Conferences, aimed at conference organizers (if you missed them, I recommend reading the first post and second post). There have also been a few AstroBetter posts on Twitter at the AAS meetings over the years (see aas215, aas217, and aas219). 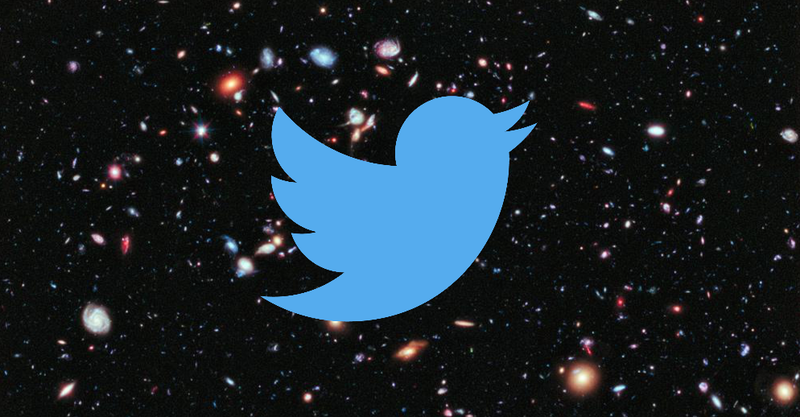 Since my institute was organizing the Netherlands Astronomy Conference 2016, I got a feel for the kinds of questions that conference organizers have in regards to Twitter. As I wrote in my first post, there are multiple benefits to having Twitter be a part of the conference, and while conference organizers may know this in theory, some (many?) lack the practice to follow through. But, if you know what to do, it’s really not hard. So to make having a conference presence on Twitter more accessible to organizers, here are some pieces of advice. The two key things I recommend having are 1. a conference hashtag, and 2. an “official” conference or organization Twitter account. Good conference hashtag examples off the top of my head are #Bdiffuse16 for a diffuse magnetic fields and ISM conference in 2016, #extremeBH for an extreme black hole accretion conference, and #PyAstro15 for the Python in astronomy conference in 2015. You can look at the account @astromeetings for more inspiration. Note that hashtags are not case-sensitive. Decide on a conference hashtag a few weeks before the conference. List the hashtag on the website and in logistics correspondence with the attendees, and ask your attendees to use it on Twitter. You don’t need to register the hashtag anywhere, just start using it. If your organization doesn’t already have a Twitter account, make an “official” conference Twitter account that will retweet others and make its own tweets. Having this gives a somewhat more curated tweet stream to follow. If the conference hashtag is the name of the account, the account itself shows up at the top of the hashtag stream (as you can see here). The one we had for the NAC was @_NAC2016 (with an underscore); for the AAS High Energy Astrophysics Division meeting in April, their Twitter account @AAS_HEAD served this purpose during the conference. Add the Twitter hashtag feed or conference account feed to your website and/or put it on the screen during the coffee breaks. This is where I recommend using the conference Twitter account’s curated feed — it turns out that if your conference hashtag starts trending (which #NAC2016 did), *ahem* adult bots start tweeting using your hashtag (with NSFW photos), and that’s not something you want to appear on the screen or your website. FYI. Assign someone to tweet your conference name, hashtag, dates, and website URL at @astromeetings the day before the conference begins. That account tweets a list of the meetings occurring each week and what the hashtag is, so that non-attendees can follow the action on Twitter. Beforehand, ask a Twitter maven in attendance to tweet a lot for the first one or two sessions to give the conference a strong Twitter presence. We found that this encouraged more attendees to contribute on Twitter for the rest of the meeting. To reassure the Twitter-skeptics in attendance, you can remind everyone that people will be tweeting at the conference and if they do not want all or part of their talk to be tweeted (press embargo, competitors, etc. ), they can say so and the tweeters will respect it. I realize that it’s certainly possible for this post to miss the very people it’s aimed at, so bookmark it and send it to colleagues on organizing committees! Have you set up a Twitter presence for a meeting you organized? What’s the cleverest conference hashtag you’ve seen? All very good points! Other points that come to my mind after co-organizing the Cool Stars 19 conference, in no particular order. – You might want to think about hashtags for splinter sessions in advance. We had the same hashtag for two splinter sessions. – As local organizer, we found helpful to always be on the lookout on Twitter because attendees might tweet about problems live. And if they realize you are responsive, it will encourage others to do so and you can solve some issues very fast. – We tried to have the hashtag alive and interesting before the conference, by posting pictures, info, behind the scene, stuff like that.